What is this? This content has been created for USPTO, which has paid for its creation and inclusion on this site. For more on Smithsonian.com’s editorial guidelines click here. 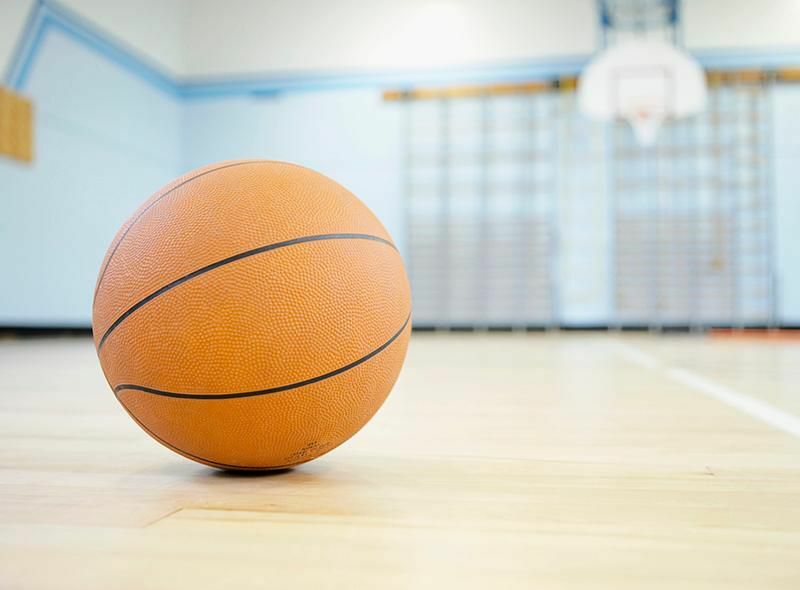 Looking for a way to exercise students in the winter, James Naismith invented the game of basketball in 1891 at the International YMCA Training School in Springfield, Massachusetts (now Springfield College). The game consisted of peach baskets, a soccer ball and a set of rules. The goal was to throw a soccer ball into a fruit basket nailed to the lower railing of the gym balcony. 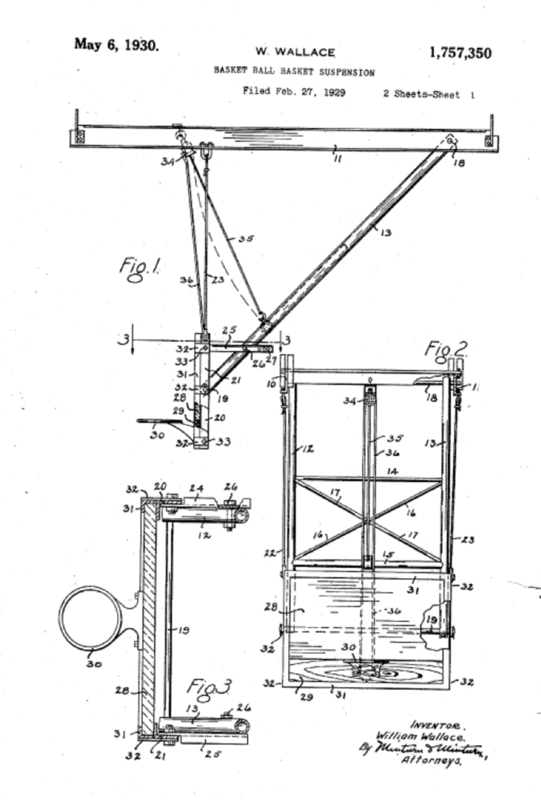 One of the first refinements to the game was to cut the bottom out of the basket so that someone did not have to use a ladder to retrieve the ball from the basket. 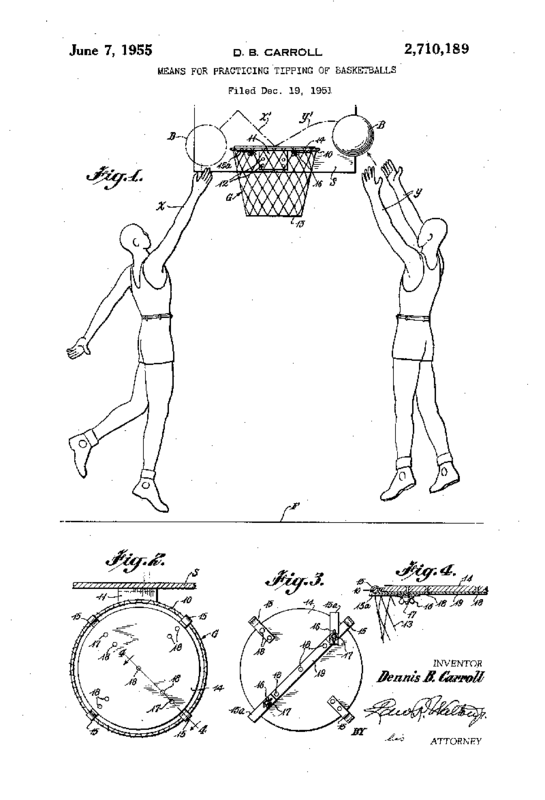 Yet from these humble beginnings many technological improvements and patented inventions have followed to make basketball what it is today. The wide reach of the YMCA helped transform the simple game into a sport played worldwide. 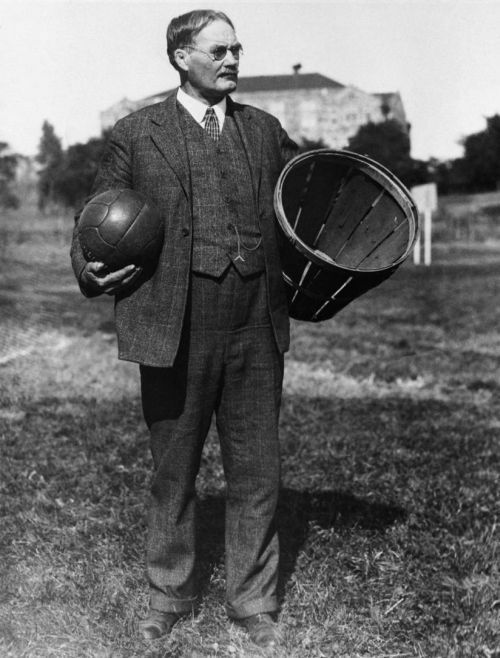 The game was originally played with a soccer ball, but Naismith asked A.G Spalding to develop the very first basketball. Spalding had developed and manufactured the first American football in 1887, made of sewn leather and including a slot and lacing to encase the air bladder. 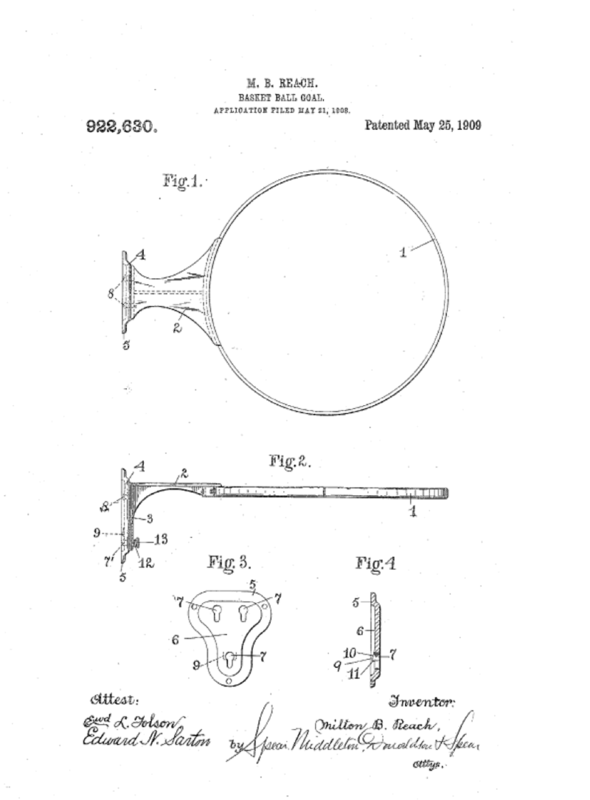 The first basketball developed by Spalding in 1894 looked much like a round football—it too had lacing. 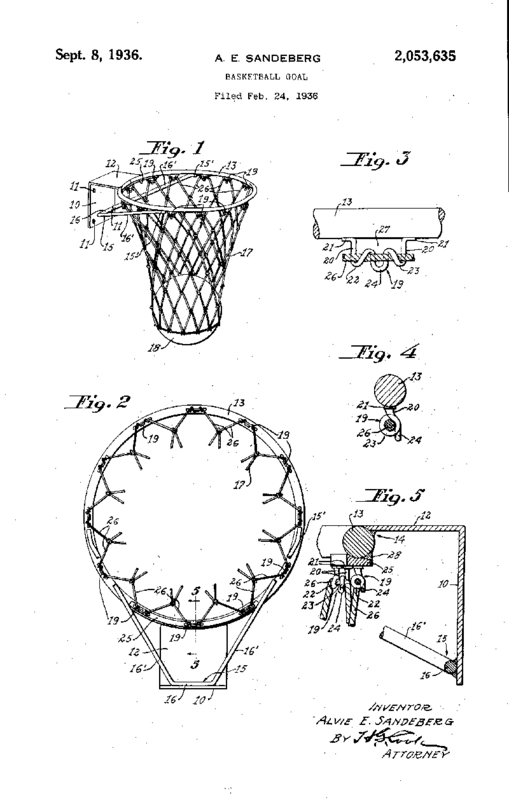 In 1929, however, George L. Pierce was awarded the first patent for a ball specifically designed for “basket ball,” as it was called at the time. 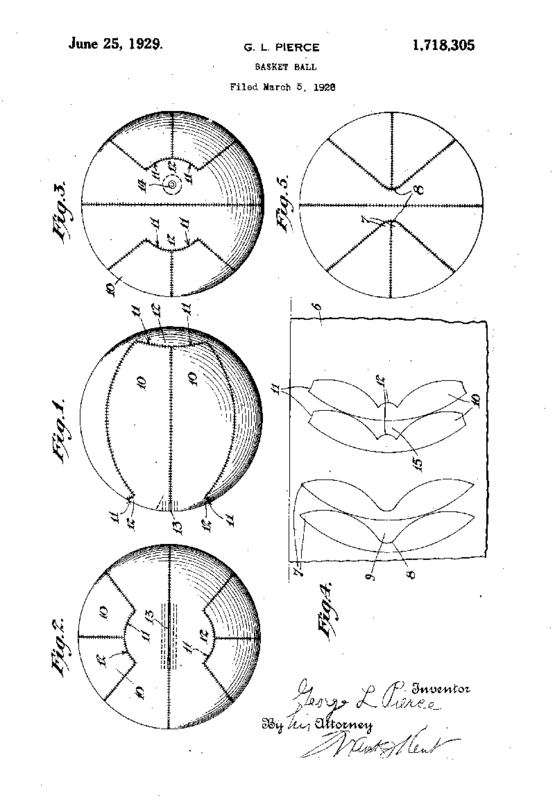 Pierce’s invention overcame the issues of earlier balls, which were made from panels of leather that tapered to points at the sphere’s poles where they were laced together (figure 5). 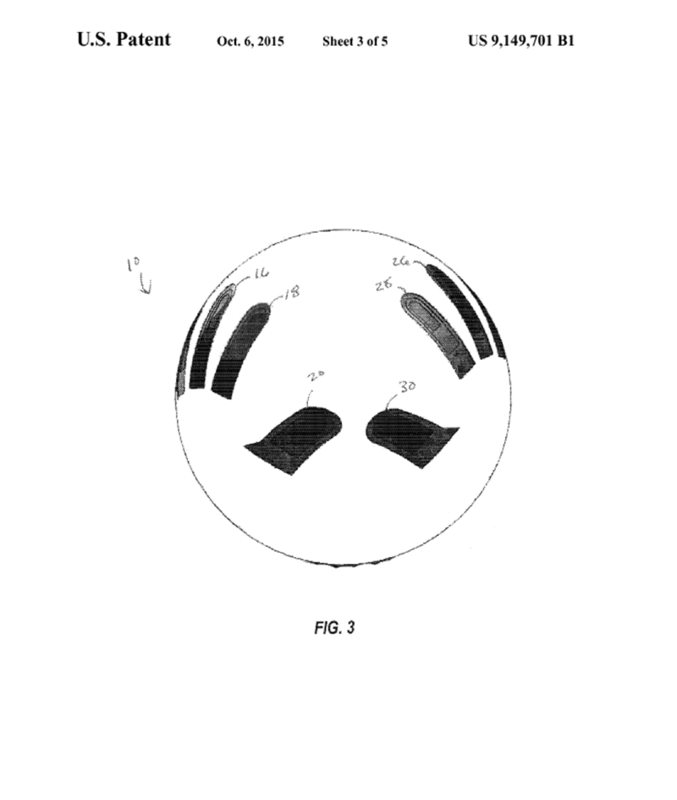 His decisions to change the shape of the panels (12) and stitch the ball (13) closed as opposed to using bulky laces (figure 2) decreased stress at the seams and produced a ball with better balance and resilience. Pierce, who worked for Spalding for 50 years, was a major innovator in the field of early sports gear beyond the seminal patent for the basketball; he is also known for his patent for cleats used for football and baseball. 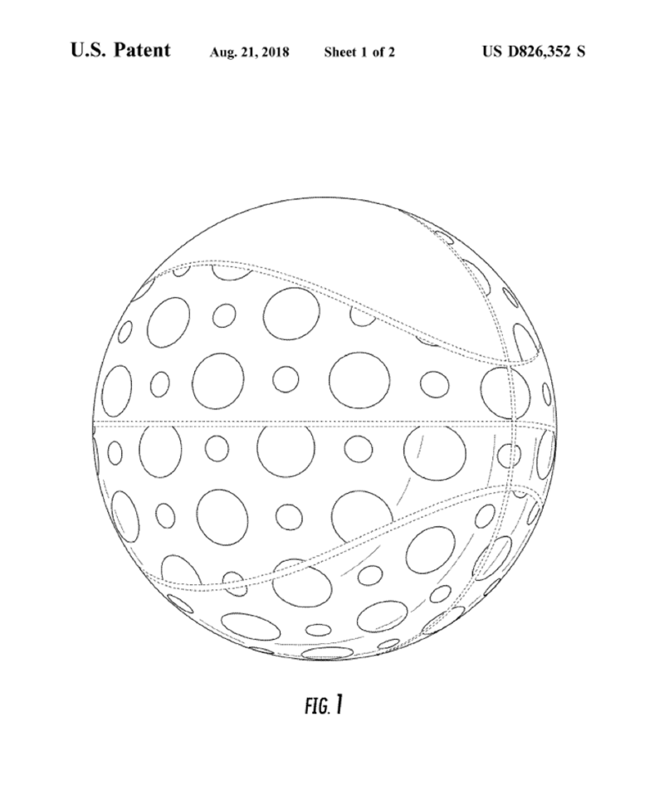 Sometimes it is not about how a ball functions, but how it looks, there have been many design patents granted for basketballs over the decades. One such design by Cheryl Sellers of Triangle, Virginia includes ornamental circles on the surface of a ball. There have been numerous innovations in the “basket” or “goal” taking it from the fruit basket used by James Naismith to what we see today allowing basketball to be played everywhere from pickup games on the playground to school gyms to large arenas. 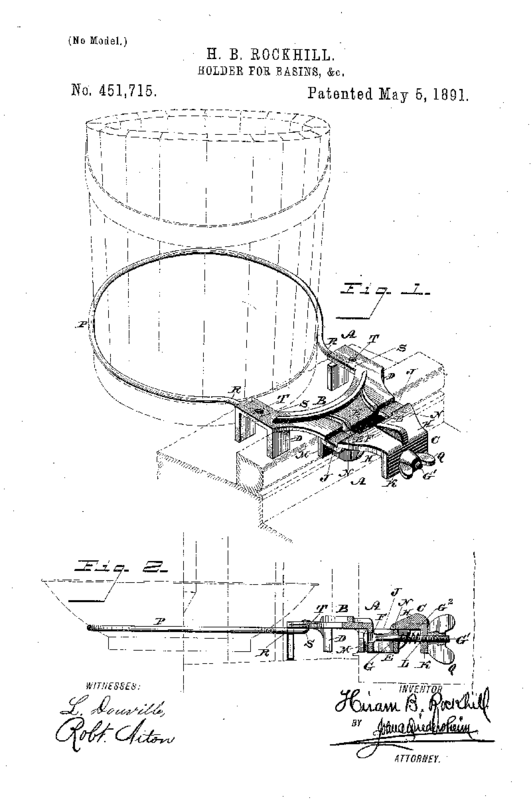 In 1891, the same year that basketball was invented, Hiram B. Rockhill of Philadelphia, Pennsylvania received a patent for a holder for a bucket or basin. While not invented as a basketball hoop, and there is no indication that it was used as such, it looks like one. 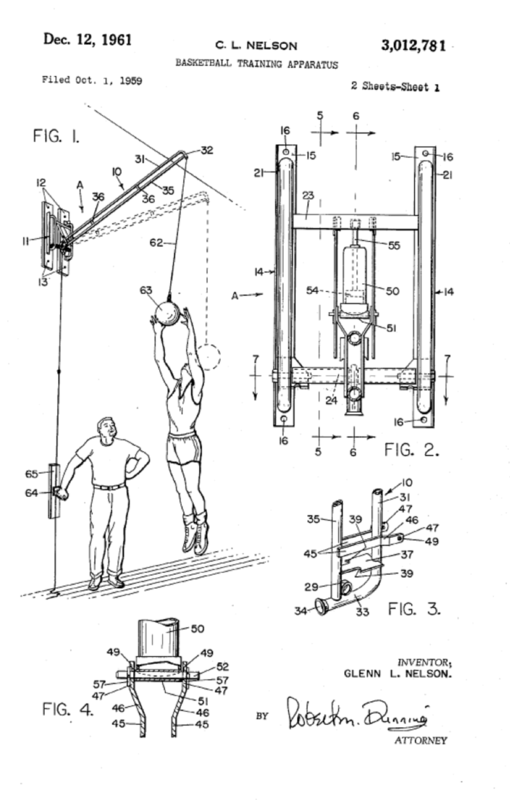 Looking back, such a mechanism would have been a very useful way to hold the peach baskets that James Naismith attached to the railing in his Springfield gymnasium, and may have even inspired people to develop hoops of their own. 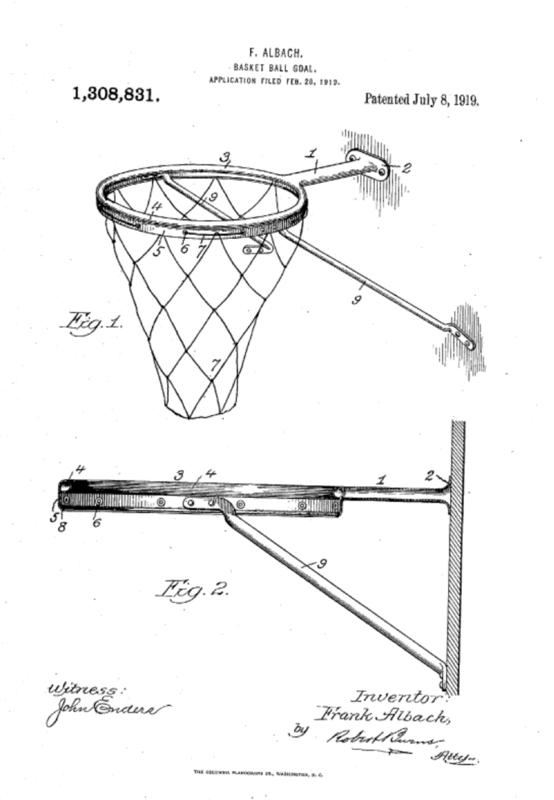 By early 20th century, basketball’s popularity was on the rise, as were innovations in metal basketball hoops, the use of nets and a backboard. 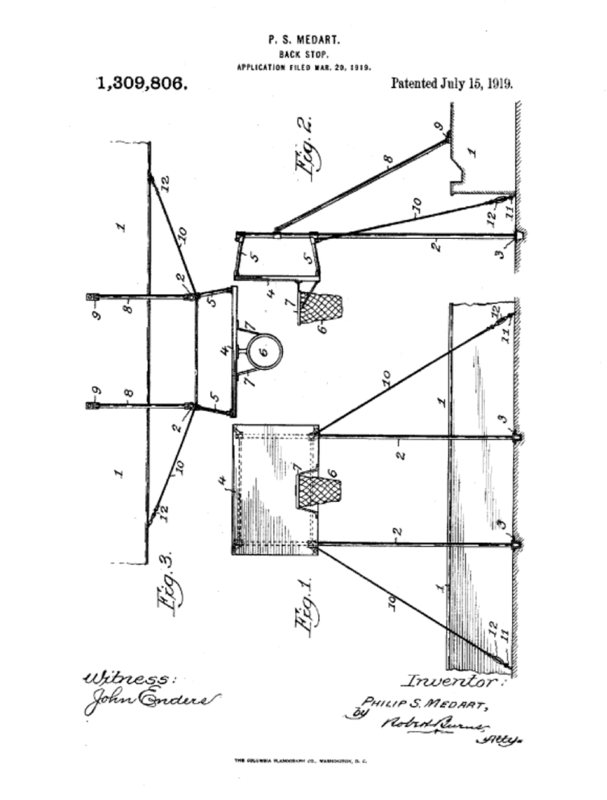 Alvie E. Sandeberg, of University City, Missouri invented a number of different goal improvements. 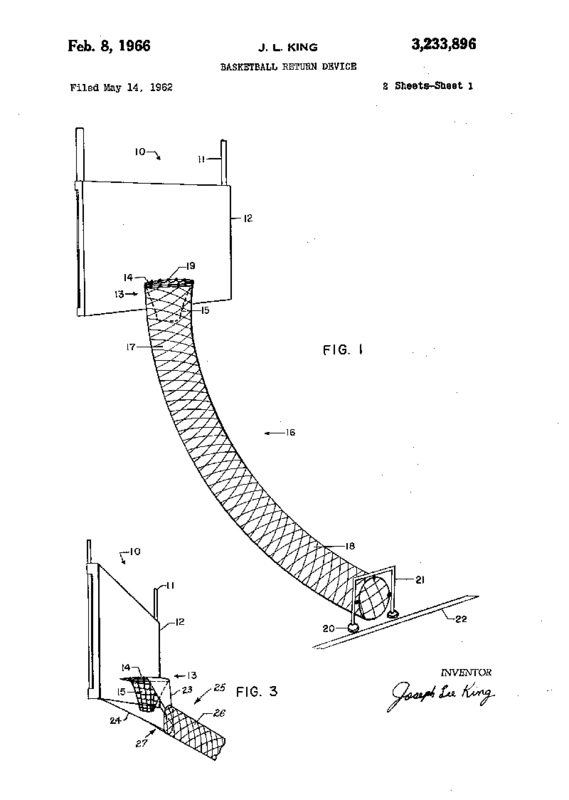 On February 24, 1936, he filed both a design patent application and a utility patent application for his new “Basketball Goal;” the two patents were issued a week apart in September of that same year. 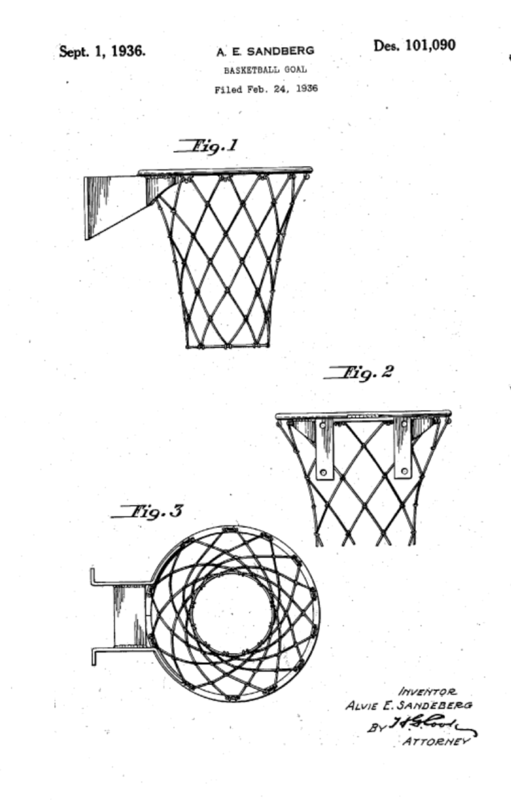 Prior to his invention, nets had to be tied or laced on to the hoop. But thanks to Sandeberg all one needs to do is take loops from the net and hook them over the connectors circling the ring. This method is so effective that we could not think today of attaching the net by any other mode. 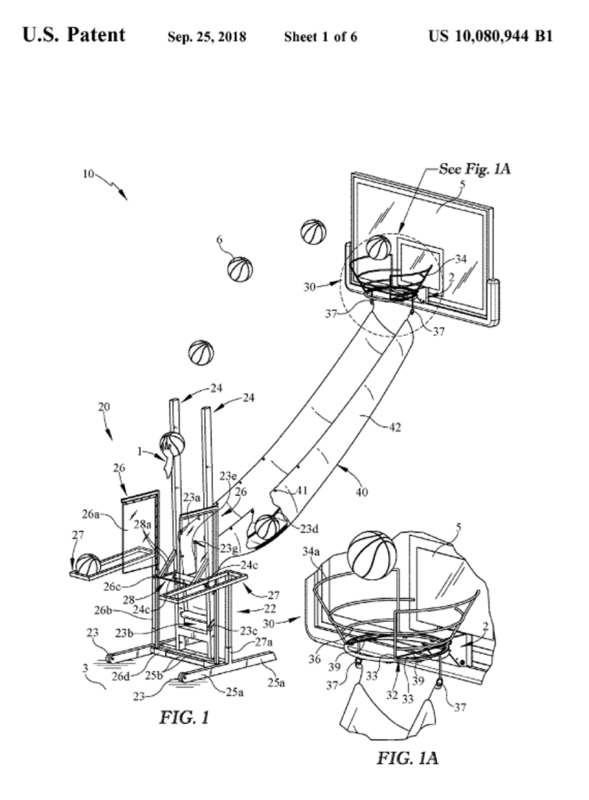 If March Madness gets you on your feet and inspired, there are, of course, a number of basketball training devices for perfecting your game, as evidenced by a long history of patented inventions. You can focus on the fundamentals, using everything from basketball hoops with ball returns to devices that help with posture and positioning.